Local Jacksonville leaders from the Jacksonville Coalition for Equality spoke at the hearing, sharing that while this was an unfortunate delay, our coalition would continue fighting until every LGBT family in Jacksonville is protected from discrimination. Mayor Lenny Curry’s recent directive to prohibit workplace discrimination against LGBT city employees and vendors for the first time in Jacksonville's history is an example of the progress we’ve made. HRC celebrates this progress even as we double down on our commitment for protections that include every family who lives, works or visits Jacksonville. Either of the proposed bills would have granted enormous power to the Jacksonville Human Rights Commission to investigate complaints against law-abiding citizens of Jacksonville, subpoena their documents, impose fines and attorney's fees, sue them in court, and refer their cases for criminal prosecution. 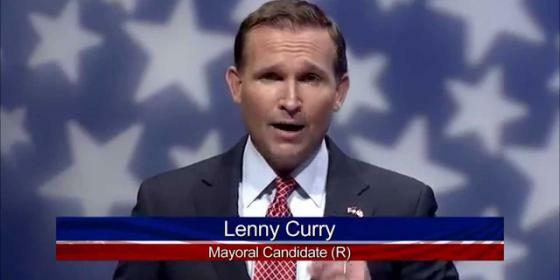 Does Mayor Lenny Curry know that he is dealing with a certified hate group in Liberty Counsel? Does he care?